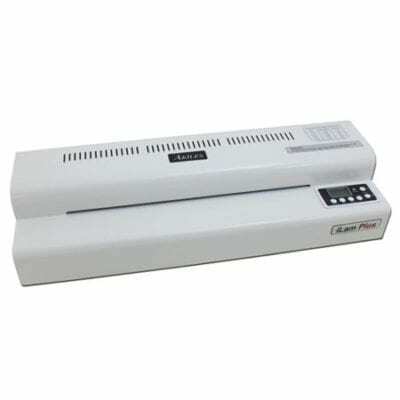 Key Features• 4 Roller Thermal System: (2 heated rollers + 2 Cold rollers) allows for professional, crystal-clear, bubble-free lamination. 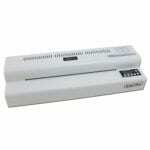 • Auto Shut Off: Automatically or manually cools and shuts off laminator. • Jam Release (Reverse) Switch allows easy corrective action for jams. • All Metal Construction: for a more professional, heavy duty look & a longer lasting lifespan. • Silicone Rollers: provide the flexibility of laminating with or without a carrier. • Metal Gears: to guarantee strength and durability.